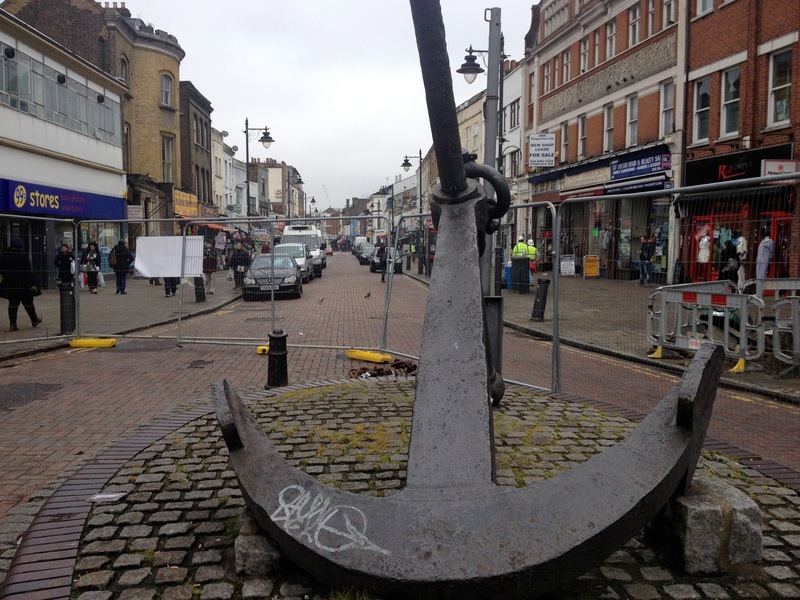 The imminent return of the anchor to Deptford High Street is a demonstration that people power really can make a difference - although you do have to be incredibly bloody-minded and tenacious, particularly if it involves dealing with local councils. 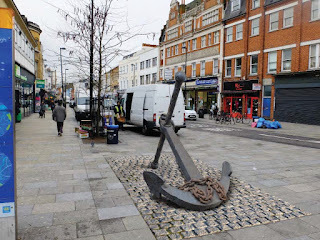 Luckily Deptford has got more than its fair share of bloody-minded and tenacious folk, some of whom were not willing to take no for an answer after the council removed the anchor from the south end of the high street during the renovation works in 2013. 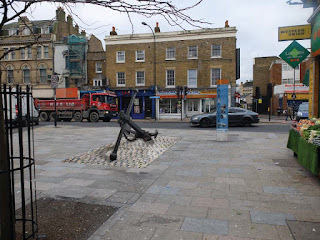 The anchor was a much-loved reminder of Deptford's maritime past; it might not have originated from a Deptford-built ship, but it provided a symbolic link to the prosperous days of Deptford's Royal Dockyard and local people did not take kindly to it being removed. Long term followers of this blog may recall that I was particularly narked about the consultation that took place before its removal; the consultation included a question about what should happen to the anchor, and 84% of respondents agreed that it should remain in Deptford. 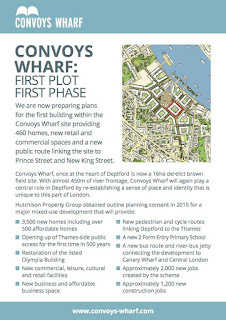 However council officers chose to interpret this as supporting the permanent relocation of the anchor to Convoys Wharf - something I'll wager not a single one of those respondents even considered would be an option. 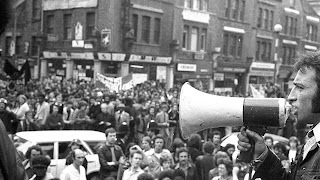 Lobbying for its return has been a long and complex process, with the usual meetings, petitions and lobbying being interspersed Deptford-stylee with parades, street interviews, posters, paper bags, tattoos, chalk and red tape - both literally and figuratively. If you want to read all the ins and outs, they are set out in minute detail on the Deptford Is Forever website. 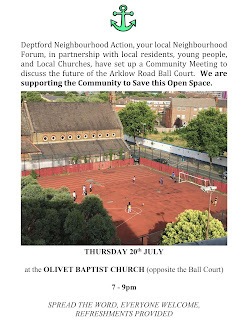 Tireless efforts by DIF and the Deptford Society were fundamental to getting this issue resolved, despite repeated efforts by council officers and even some council members to obfuscate, delay and derail the process. Cutting a long story short, the upshot of all this activity is that a mere five years since being removed (a drop in the ocean of Deptford's history) the anchor will be restored almost to the exact spot, but without the plinth that created a handy seating area for Deptford's street drinkers. As we all predicted, the street drinkers did not magically disappear when the anchor was removed - they just relocated to other places in the high street where they had somewhere to sit - Giffin Street and Douglas Square are firm favourites now. Current ETA is February although don't hold your breath; the ETA has slipped a few times already, but there's no reason to think it won't happen. Planning applications have been submitted and approved, funds have been found (from the appropriate part of the community infrastructure levy, one assumes) contractors have been briefed and all they have to do now is get Hutchison Whampoa to let them on the site to pick up the anchor for a good wash and brush up ready for its triumphant return. I'll certainly be raising a glass (discreetly of course) to celebrate. Deptford is lucky to have its own independent cinema, thanks to its dedicated crew of volunteers who have spent many hours renovating the property on Deptford Broadway and now provide an incredibly varied programme of films and events. They have plans to make further improvements and have recently launched a patron scheme to try and raise funds to support this work. You can become a patron for just £25 and as well as getting perks such as a free screening every month for you and a guest, you'll be giving them the means to expand and improve what the cinema does. "An overhaul of the cinema's electrical system is the next big thing in our plans. Once complete, it will allow us to be more adventurous with our programming and events, we can push forward with the creation of the darkroom and office space allowing us to start providing film and photography workshops and improve the lighting of the whole space to make it feel that much more homely. The shop front hasn't changed since we took over the space and we've great plans to replace the whole thing with a beautiful front with a big double door, seating and illuminated signage. Deptford Cinema is for everybody and as such we've plenty of plans to improve accessibility; such as a chairlift for the stairs and a hearing loop for our sound system." I find it amazing that such a great facility has been created by volunteers and think it's well worth supporting. As well as inviting people to join its patronage scheme, Deptford Cinema is always looking for new volunteers - if you want to sign up, or just find out more, pop along to the volunteer meeting which takes place every Sunday at 11am. On the face of it, a planning application to create a pop-up community of shipping containers on 'derelict' land behind the Bird's Nest pub in Deptford might seem a sensible use of an awkward parcel of land. And if you read the planning documents, you could easily be lulled into thinking that this development offers nothing but benefits to the area. It's easy for the general public to forget that this community exists - with the yard at 2 Creekside no longer in regular use and most of the land around the waterside either inaccessible or fenced in, it's difficult to get a view of Theatre Arm, as this offshoot of the creek is known. But it would be a bit remiss of the landowners to forget that they are there, considering that they collect rent on most of the moorings; in terms of the planning documents, the only real acknowledgement of their presence is these couple of renderings, along with a few boat outlines on some of the drawings. There's a marked absence of any human aspect to the plans that have been submitted, not least in the fact that the impact the development will have on the residents of the creek has been utterly ignored. The boating community is a diverse and varied one, with residents of all ages living on a wide range of vessels moored along the creek, some of which also directly support businesses. 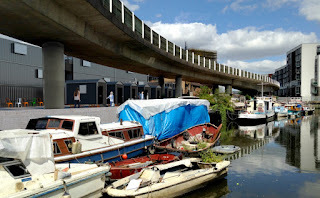 The residents assist each other in practical ways and have a strong and well-established community group, the Friends of Deptford Creek, which supports, represents and protects the human, natural and built environment of the creek. On the FODC website you can read Jeannie Seymour's story - her husband Julian Kingston is the longest-established resident on this site, having arrived here 30 years ago, well before the Docklands Light Railway was built. As well as running his welding business from the boat, Julian keeps his restored Saker cannon and Lenox Project trailer on the land next to it, along with half a dozen beehives which provide him with enough local honey to last the year. And while tarpaulins may not give the best first impression, they can be a sign of good things to come. You can read Mat's story about restoring his broads cruiser Suffolk, his comments giving testimony to the strength of the community that exists. The way of life these people have chosen may seem unconventional to some, but as Jeannie points out, the main difference is that they are afloat. They have all the same gadgets and facilities as 'normal' households - even a bath! - and they pay council tax and utility charges like everyone else. Six of them moor on the riverside at 2 Creekside, and over the last 16 years have had to suffer the vagaries and poor management of the site by owner John Cierach (of murky goings-on fame). As this detailed post on Crosswhatfields explains, the murkiness that led to the demise of the Big Red pizza bus (and most likely also the demise of the subsequent tenant Wanderlust) has for years also been inflicted on those who call Theatre Arm home. 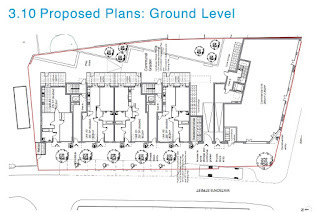 So what is the detail of the planning application proposal? Essentially the new owners of the land, Artworks Creekside 2 (a consortium between the former owner John Cierach and another company (Stow Projects) whose directors Charlie and William Fulford have history, among other things with box-park pop-ups such as 'Artworks Elephant' on the former Heygate estate in Elephant & Castle) want to stack a load of converted shipping containers up to create Deptford's very own box park. The plans include bringing the 'big red' bus behind the Bird's Nest back into use as a restaurant, and are also linked to proposals for number 3 Creekside across the road, now owned by another new company whose directors are the same as 2 Creekside. Make what you will of the fact that two different companies have been created for the purposes of what's being proposed and promoted in all other ways as a single, unified development. The presence of the DLR restricts what can be built on the land at 2 Creekside, as there is an exclusion zone around the structure, so the plans include mobile 'shepherd's huts' under the viaduct with views across the creek. Or to be more precise, with views directly into the living quarters of the boat dwellers. The relative privacy that they currently enjoy will be gone in one fell swoop, with the vista for new tenants valued above any protection for those who already live there. So keen are the developers to boast how they will open up pedestrian access to the creek and provide new views across the water (or the mud for half the day, considering it's still tidal here) that they conveniently gloss over the fact these are people's homes. The renderings show how active the river frontage is intended to be - in good weather the occupants of the mobile units will be able to spill out onto the creekside and enjoy the sunshine; the ground-floor units in the main stacks of shipping containers are intended as cafes or restaurants, so these are likely to have customers coming and going throughout the evening. The planning application disingenuously states that this development is 'not intended to be positioned as a late night venue', while simultaneously applying for opening hours extending to 11pm every weekday and till 1am on the weekends. With the site open from 8am, there will be no respite for those living on the water. The boats which are shown on the other side of the creek wall seem to be mere afterthoughts, just there as decoration or in the spirit of accurate representation. 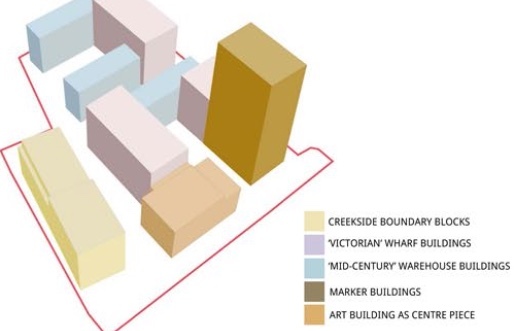 It's almost as if Artworks Creekside is keen to be rid of these inconvenient incumbents. 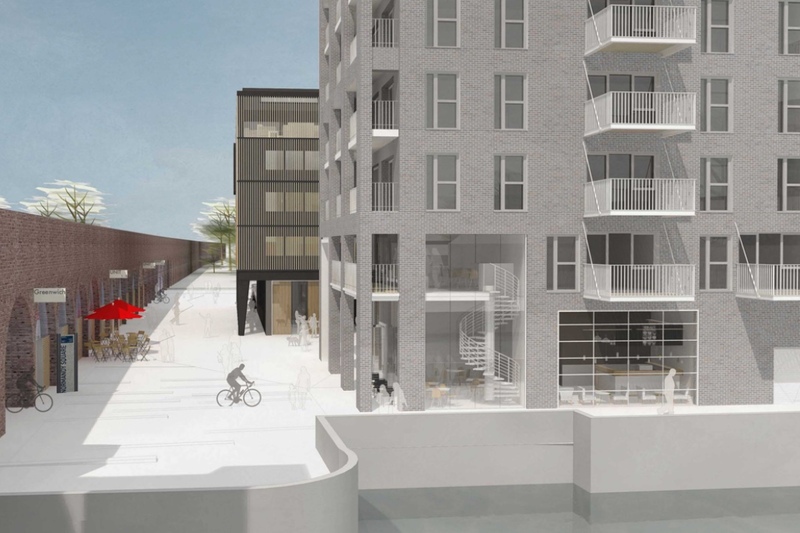 This image from the planning application is probably the clearest indication of the attitude of Artworks Creekside towards its existing tenants. It clearly shows the impact the new units will have on the existing boats - this rendering being created from a photograph taken from the boat Julian uses as his workshop, the edge of which can be seen next to the creek wall. The renderings in the application give no indication that the rights of the existing residents (to privacy, to light, to quiet enjoyment and so on) have even been given even the most fleeting consideration. There's no explanation of how they will get on and off their homes, take delivery of fuel, or continue to securely access utilities such as water, electricity, telephone lines and so on. There is no space for any residents to store equipment or park the vehicles by which they make their livings, and nowhere for Julian to relocate his beehives. 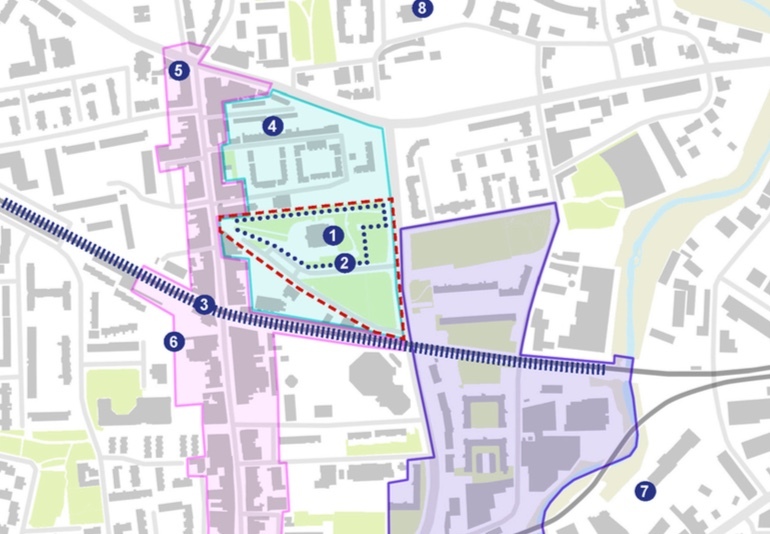 In short there is no consideration of how the proposed development could be successfully delivered without severely impacting on the existing residents. 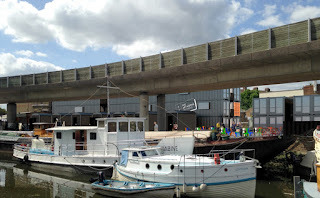 The fact that the boat dwellers did not even receive official notification of the planning application from the council is also worrying - as registered council tax payers with their own letterboxes in the gate, why did they have to find out about the planning application from official notices on lamp-posts on the public highway? As direct 'neighbours' to the development, they should be statutory consultees if the planning process is correctly followed. While failures in official planning procedure are of concern, more worrying is the ongoing bullying and intimidation that the new site owners are inflicting on the existing residents, presumably in an attempt to drive them away so that they can progress their plans unhindered. Huge proposed hikes in rent, unreasonable demands (such as allowing other boats to moor alongside and giving people access across your own home), repeated threats of expensive court cases, and getting the Port of London Authority involved as a means of further increasing the costs to residents - all these tactics are being employed by Artworks Creekside in their unsavoury efforts to socially cleanse Theatre Arm. 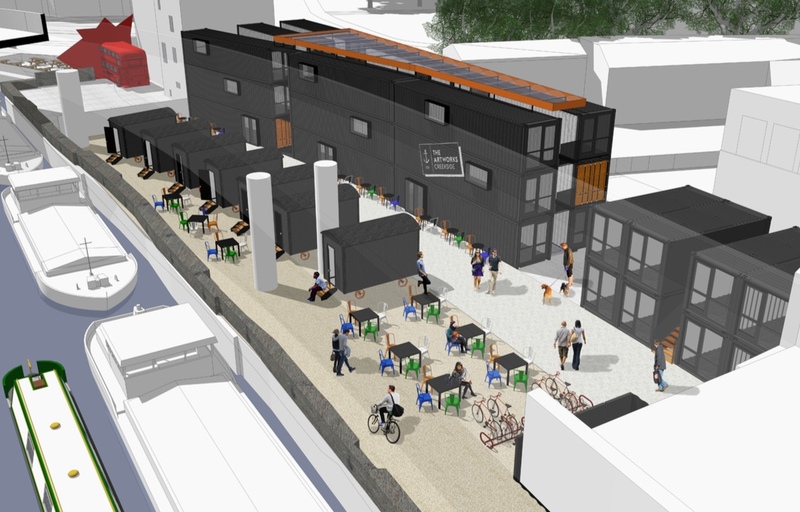 Without such murky goings on I might have been in favour of a slimmed-down version of this proposal, which if done properly could offer useful space for small businesses. 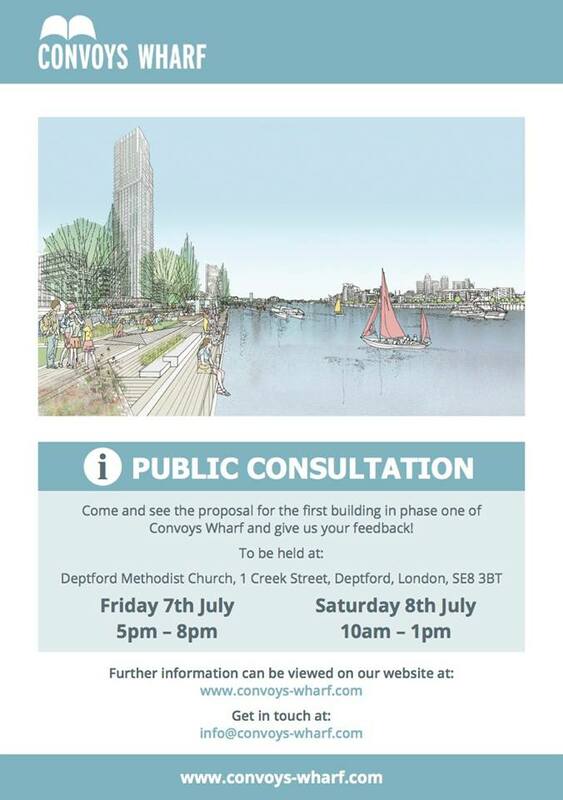 With fewer shipping containers, proper, private moorings with secure access and facilities for existing residents, and restricted hours to provide the boaters with quiet enjoyment of their homes it might work - but with its current backers the whole idea leaves nothing but a nasty taste in my mouth. It took an embarrassingly long time for Deptford Market Yard to reach full completion, and there are still a few kinks that need properly ironing out (parking abuse etc), but overall the end result is pretty pleasing. The quality of finish on the carriage ramp retail units is pretty good, and the public realm stuff is attractive and seems durable, excepting the flimsy bollards which have almost all been flattened by our local drivers and are currently being replaced. The trees add a very pleasant atmosphere to the yard and soften the somewhat hard edges of the brick, stone, steel and timber that is used throughout the rest of the landscaping. As they mature I think this will only improve. I like the mix of independent tenants in the retail units, although I do worry how many of them are actually managing to make a living; the promised market has yet to materialise and although the managers of the yard seem to be putting on events now and again, I'm not confident it's enough to generate the footfall to bring sufficient business to these units. There are also ongoing issues that demonstrate how poor the current management is. The flimsy bollards that were initially installed at each end of the yard were promptly battered and eventually flattened by manoeuvring drivers. Wholesale abuse ensued, and with no parking enforcement the yard rapidly turned into a car park. After weeks of nagging the management company put up parking notices, which has improved the situation somewhat, but the installation of the new bollards seems to be taking an unreasonably long time and there are still some serial parking abusers who are going unchallenged. 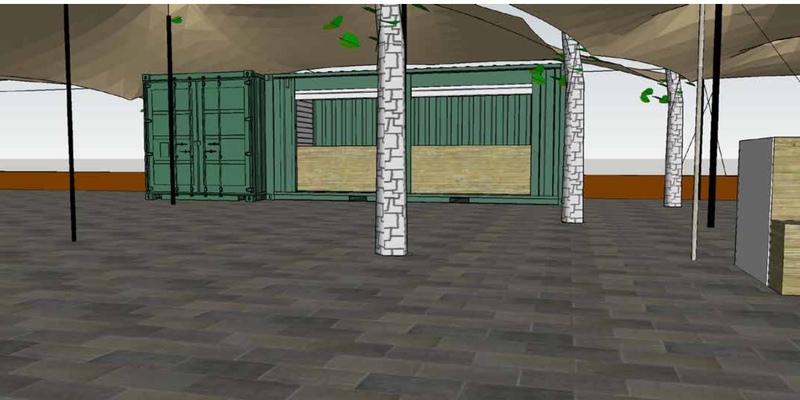 But the latest plan by owner U&I plc - to bookend the public spaces with two outdoor bars, one under a posh tarpaulin - seems to be heading in totally the wrong direction. If the planning application that has just been submitted gets the go-ahead, you can kiss goodbye to any opportunity to relax while you eat your sandwiches sitting on the benches in the dappled shade of the trees. 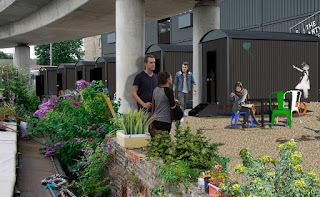 The proposals involve nothing more imaginative than dumping two converted shipping containers down on the new paving, and annexing a large proportion of what is currently public space under a fabric roof connected to the street lights and weighted down with huge water containers. Punters will sit at tables that can be folded away at night for storage, but the roof is intended to stay in place - a permanent temporary arrangement. 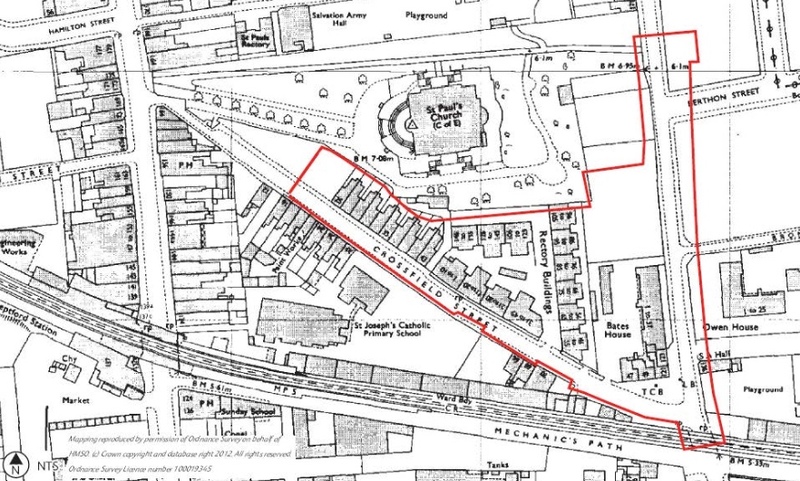 Permission for two 'bars' is sought - a large one outside the station and a smaller one down at the other end of the market yard, next to the lower part of the carriage ramp. The larger one has a capacity of 150. 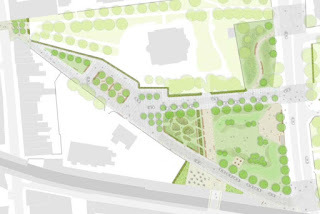 The leaves of the trees will not be visible to anyone at ground level - the most visible and significant elements of the landscaping will be annexed to act as supports for a plastic tent to keep the rain off those wanting to indulge in what is essentially middle-class street-drinking. As well as being attached to the trees, the roof needs guy ropes to tie it down. The proposal suggests that large water containers will serve this purpose. You know the kind of thing. 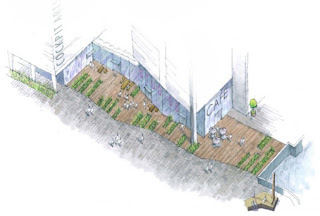 The design and access statement which forms part of the planning application also suggests that plants in upcycled oil barrels will be dotted around the bar area, presumably to add a bit of greenery to make up for the greenery that you can no longer see. It proposes that patio heaters - one of the most environmentally-insensitive inventions ever - be used inside the tent. It also includes designs for the eight market stalls that will be placed opposite the existing carriage ramp, although this does seem a little like an afterthought. 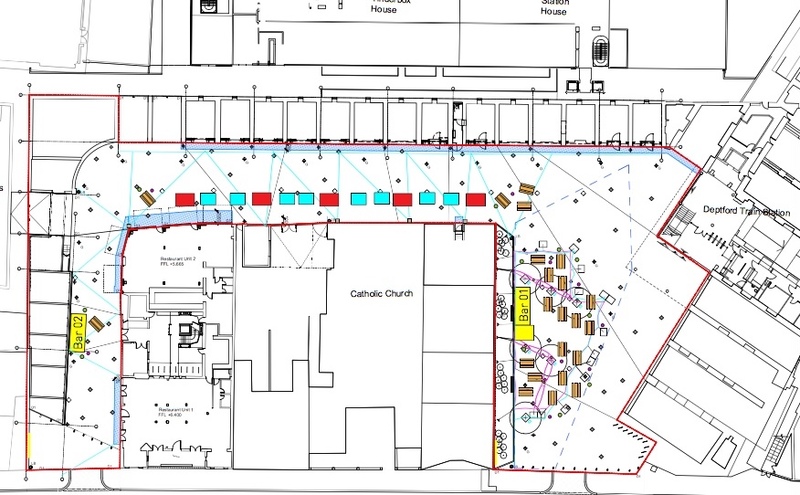 Six 'food trucks' will be parked between these stalls - on the diagram below, which has the high street at the bottom and the station top right, the yellow boxes are the bars, the red boxes the food trucks and the blue boxes the market stalls. 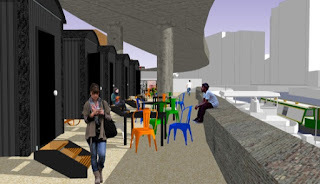 The bar opposite the station would be placed right in front of one of only two public benches in the market yard, thus cutting public seating by half in one fell swoop. The remaining seat would fall within the bar area so it's unlikely to be available for public use, and even if you do get to sit on it you'll only be looking at a load of people drinking. Not to worry, you can always sit on the picnic tables under the tent - provided you have the money for a drink of course. You're probably getting the drift that I'm not in support of this proposal. I'll set out a few of the main issues as I see it. 1. The annexing of the public space. 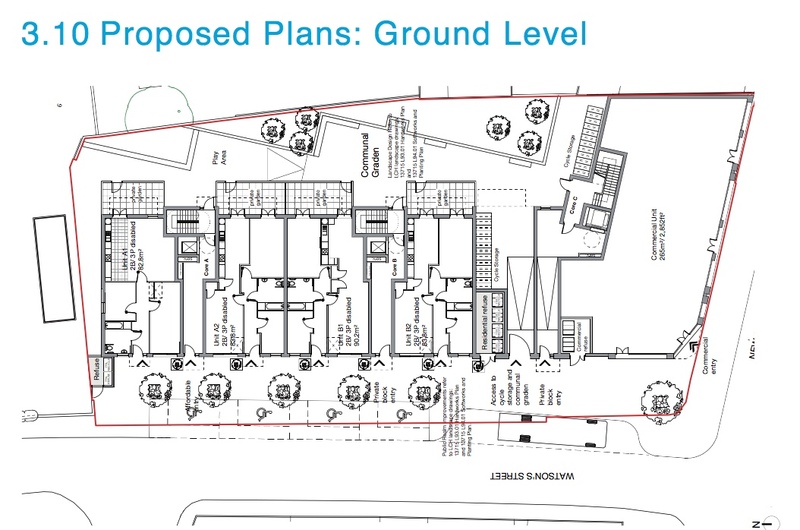 It's clear from the diagram above that the proposed bar would take over most of the public space outside the station (and quite a bit of the remainder has already been annexed by the bars and cafes at this end of the ramp). The public realm works very well, it has been refurbished to a high standard with good quality street furniture and it looks good. I often see people sitting on the benches enjoying sandwiches or just hanging out, watching the world go by. 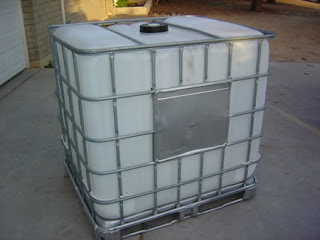 It can be, and is, used for events - whether that's dancing or a 'carless car boot sale', or any other temporary use. If a bar under a tent took over the space, this genuine public enjoyment would be lost, and temporary events would only be possible if they fitted in the space and outside the opening hours of the bar. 2. Where are the toilets? No details have been provided of where the toilets will be - or even if there will be any. There is only one toilet for most of the carriage ramp (Little Nan's and Mousetail each have their own) so where are all these customers going to pee? Deptford already has a problem with public urination, this won't help. Perhaps they are going to dump (pun intended) some ugly Portaloos next to the remaining flower beds. Who needs greenery in any case? 3. Why is it ok for some people to drink outside and not others? Street drinking. 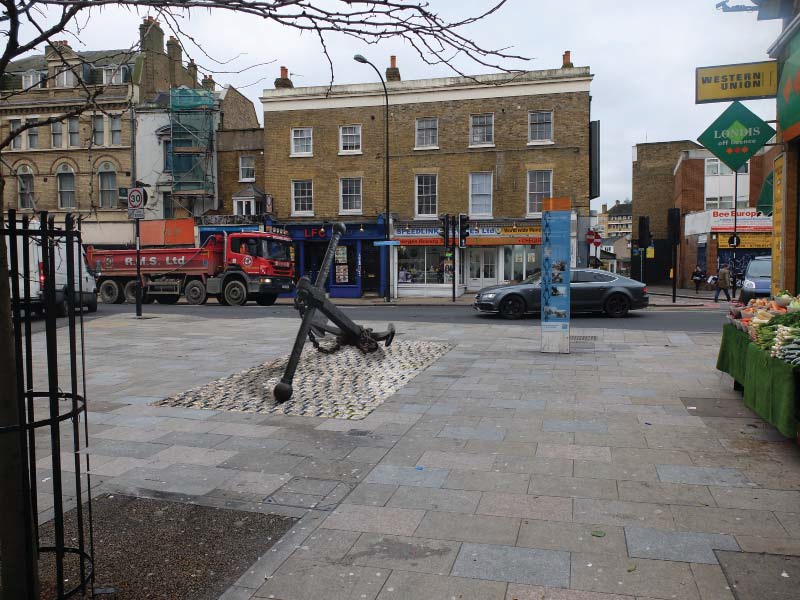 The anchor got the blame for causing problems down at Deptford Broadway, but the street drinking that used to happen there is now rife in Douglas Square, and still causing problems. Why should that be classified as public nuisance but put the drinkers under a tent and charge them more, and it's a legitimate business. It also neatly leads me into the security issues. What's to stop the 'undesirable' drinkers just bringing their drinks and joining the party? Will they have to put barriers round the seating and have security on the door? The vast majority of the ground-level landscaping that was created as part of the public benefit from the development will be squandered. Seats will be unusable, plants will have their light blocked and the flower beds will become a litter trap, difficult to access for maintenance, the trees will become tent poles (and most likely leaning poles at the lower level). 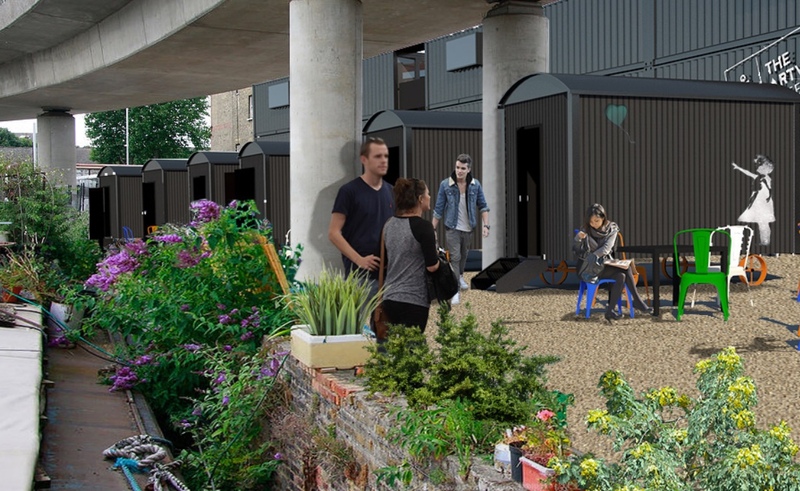 Residents in the Deptford Project already suffer noise from some of the units under the carriage ramp - speakers get brought outside by some tenants even though their leases prohibit it - and with a large bar in a mostly hard-landscaped area, the noise from drinkers can only add to this. Other local bars such as the Job Centre and Buster Mantis have limits on when outside drinking areas can be used, to limit noise for adjacent residents. Allowing a huge open-air bar in front of a huge residential building would make a mockery of this and could reasonably lead to other bars challenging such restrictions. How has air quality in Deptford changed in the last 350 years? Scientists from the Centre for Environment & Health, which does research into the health effects of environmental pollutants, are hosting a free event at the Deptford Lounge this Monday. This will be an evening of interactive activities and talks that will give participants the chance to learn more about how air quality can affect their health. Find out how you could be breathing cleaner air, and learn how traffic noise and other pollutants might also be having an effect. Scientists from the MRC-PHE Centre for Environment & Health will be on hand to offer expert advice and answer questions. The event is part of the Medical Research Council's second annual Festival of Medical Research. 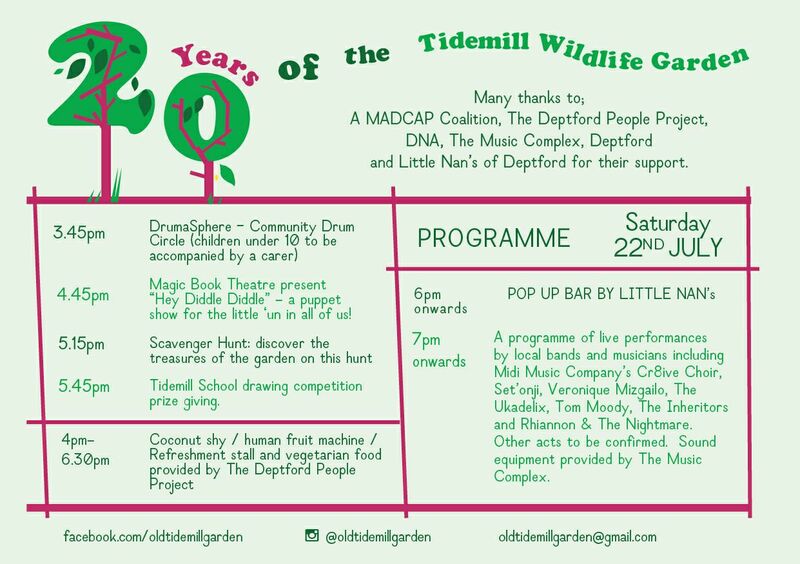 There will also be several presentations during the evening, including one on air pollution in Deptford from 1661 to the present! Tea, coffee and soft drinks will be available. 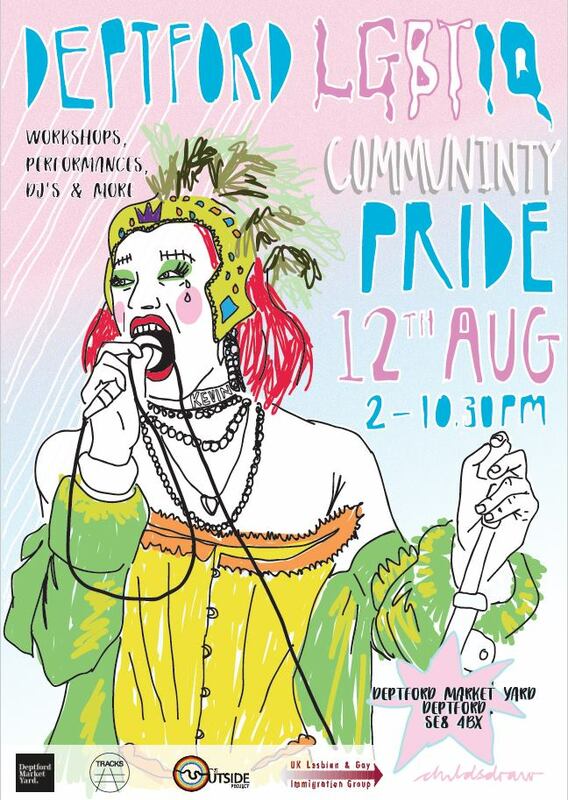 The event is free, but the organisers ask anyone wanting to attend to register online. 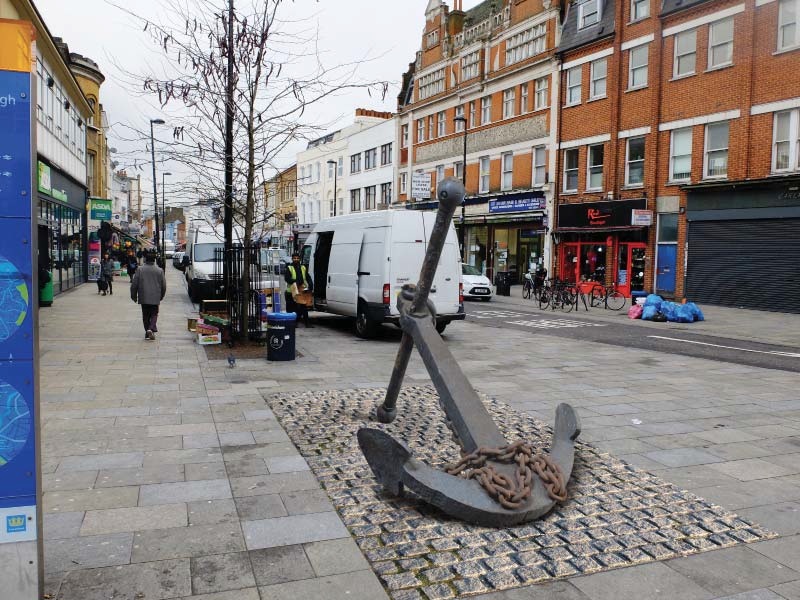 Further to the council report in March which recommended the return of the anchor to Deptford High Street, Lewisham Council has launched a consultation into some aspects of its proposed reinstatement. These include the style and type of textured paving that will be placed around it (to assist the visually-impaired) and whether a plaque should be included, and if so, what this should say. 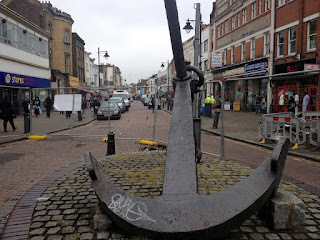 Current timescale intends the anchor to be back in position in time for Deptford X festival in late September. The public is invited to respond via the online consultation survey where you can also find background information about the process (downloadable here). 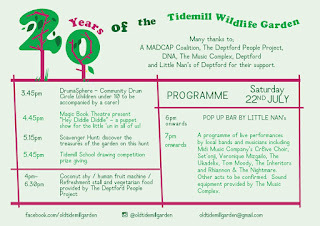 There is also a drop-in session at Deptford Lounge on Tuesday 20 June between 3pm-7pm. 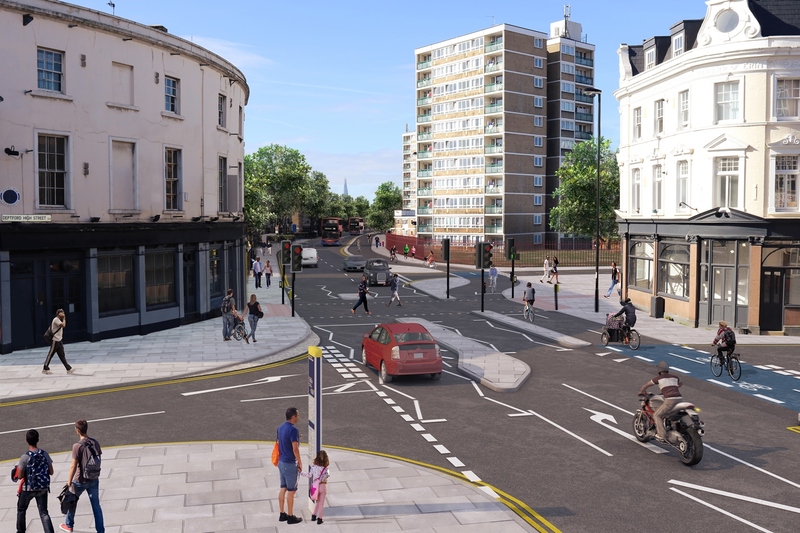 The current documents show the anchor to be somewhat sidelined in the proposed location at the top of the high street; why not have it more central in the streetscape? At the moment it looks like an afterthought. 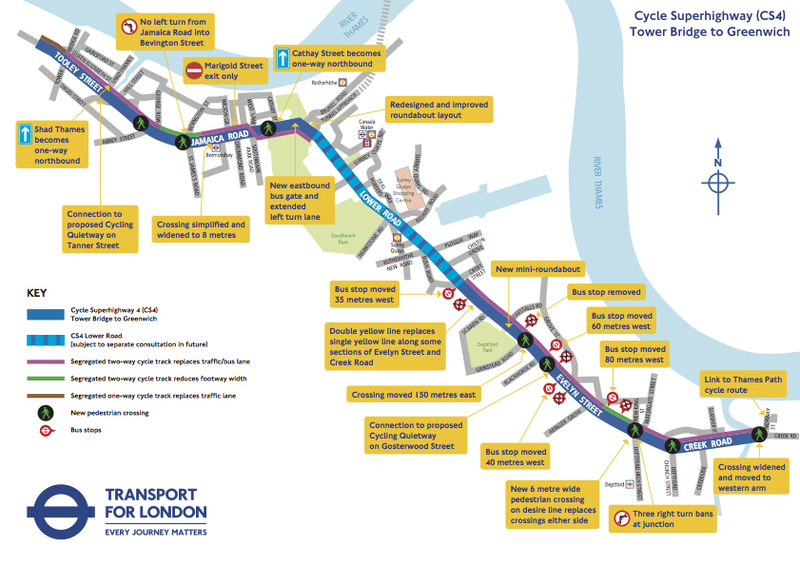 The online consultation closes on Tuesday 27th June. Things are finally happening in the project to remodel the former public baths on Laurie Grove in New Cross, which is due to become the new Goldsmiths Centre for Contemporary Art. I wrote about the plans a couple of years ago, since when there has been a bit of a fundraising hiatus; but having been prompted to look it up again I see that according to the Goldsmiths website it is due to open this time next year. If you want to get a look inside, there's an event tomorrow (Thursday 15th) that involves a look back at the history of the building and its future, combined with a special exhibition of collaborative, site-specific installations and coincides with the opening of the Goldsmiths Fine Art degree shows. 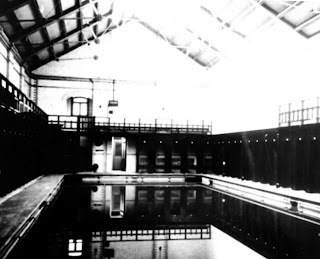 Join us on June 15th, at the Laurie Grove Baths, home of the Centre for Urban and Community Research at Goldsmiths in New Cross, for an evening dedicated to the slippery inheritances of this historic building. This event marks the launch of Urban Water Cultures – a series of collaborative public work, organised and supported by CUCR on the urban sociology of water. 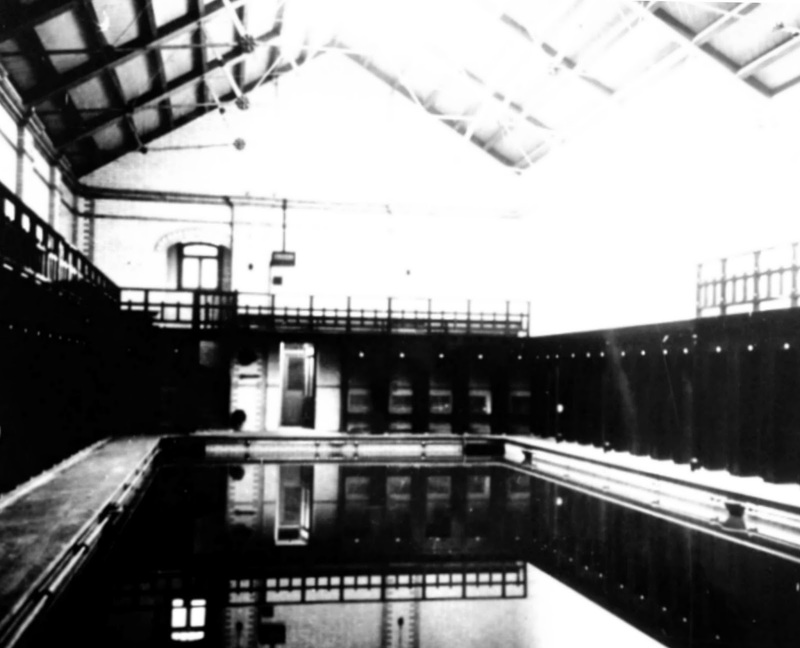 Talks by Les Back and Sophie Watson will explore the social significance of water and public baths in the city. It will also celebrate the opening of Slippages – an exhibition of site-specific installations. The event coincides with the opening of the Goldsmiths Fine Art degree shows, so there will be a rare opportunity to wander around the baths. Slippages is an exhibition co-curated by the Feminist Methods Masterclass, convened by Nirmal Puwar. 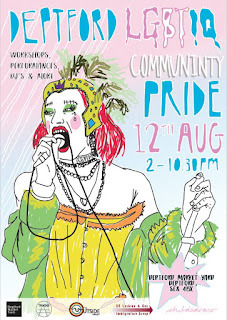 It features work by Katerina Athanasopoulou, Yani B, Ama Josephine Budge, Hari Byles, Clare Daly, Chloe Turner, and Santiago Rivas. 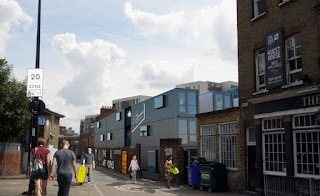 A planning application for an eight-storey block of flats in New Cross is threatening to overshadow neighbouring houses and threaten the productivity of one of the area's few allotment sites. 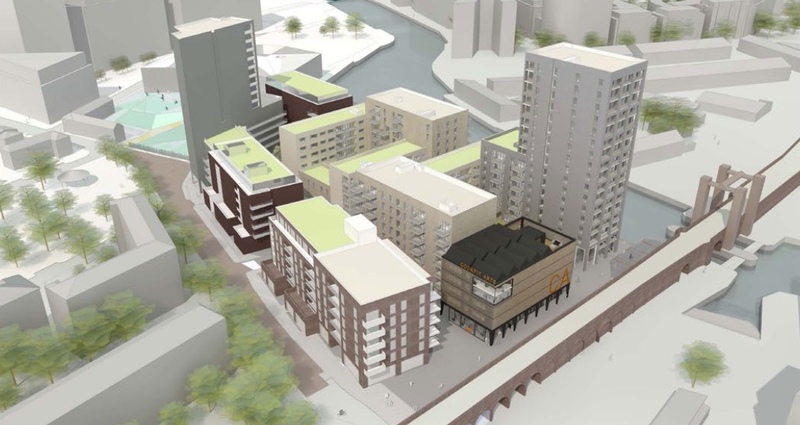 Developers have submitted a planning application to build 26 residential units on a scrap of land sandwiched between the end of Royal Naval Place and the railway line. 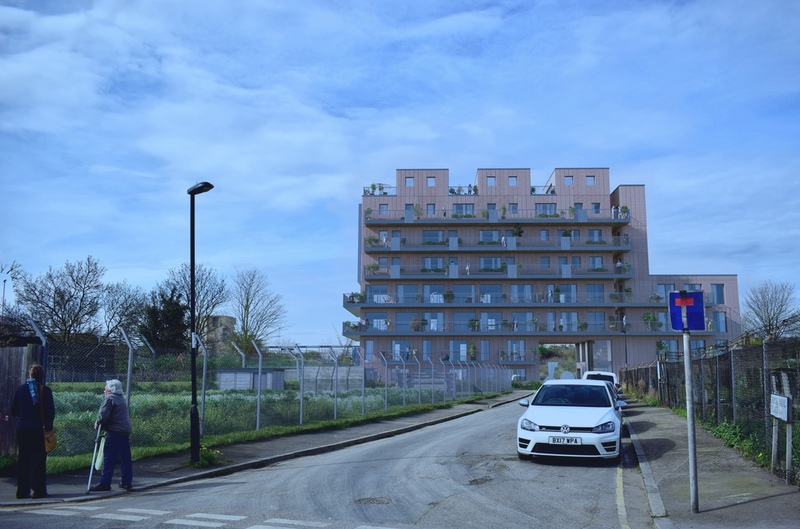 A block of eight storeys will impact daylight and sunlight to the terraced houses on Amersham Grove as well as blocking out a substantial amount of the sunlight that the allotment site currently enjoys. The proposed development takes up nearly all the space on the site, representing a gross over-development of the land, in my opinion. 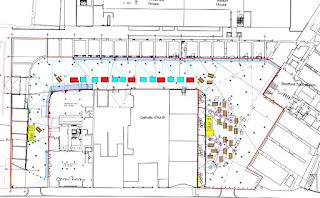 The council's (independent) design review panel agrees; original proposals were for much higher blocks which have since been reduced, but the panel noted that even with the changes this represents a very dense use of the site. A cynic might say that that eight storeys was always the plan. Start high so that you can offer 'concessions' and get down to the height you actually were aiming for. Bargaining is a way of life round here. Unless you've walked down Amersham Vale from New Cross Station towards the Old Police Station, you've probably no idea where this site is. At the moment it is used for storing haulage vehicles, and I can't imagine it's pleasant for residents of the small houses opposite having these huge trucks swing in and out of the tiny street every morning and evening. 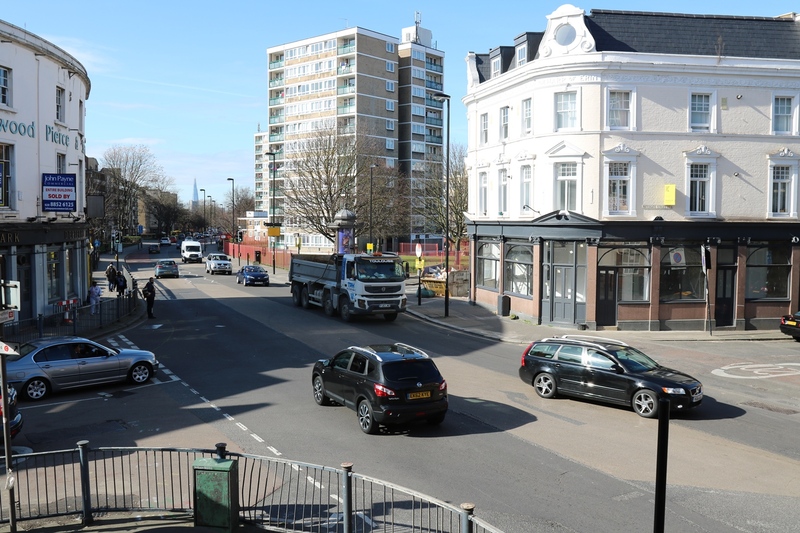 The land could arguably be usefully employed for housing, and its proximity to New Cross station makes it ideal for a car-free residential development. But the height of the block and density of the development should surely be questioned by planners? Even the housing development planned for Amersham Vale is only five storeys high, and if this proposal ('Hereford Place') is approved, the size and visual impact of the block would be completely out of scale and context in this location. 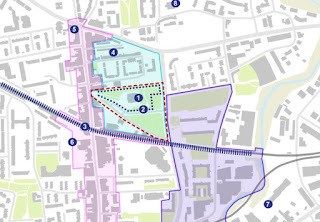 Residents on Amersham Vale (shown on the right of the picture above) will lose daylight and sunlight to their gardens and properties if this development goes ahead. Allotment holders are also voicing concerns that their plots will be completely overshadowed by the new building, which is on the west side of the allotments. The waiting lists for Lewisham's few remaining allotment sites are famously long - eight or nine years is the current waiting time apparently. 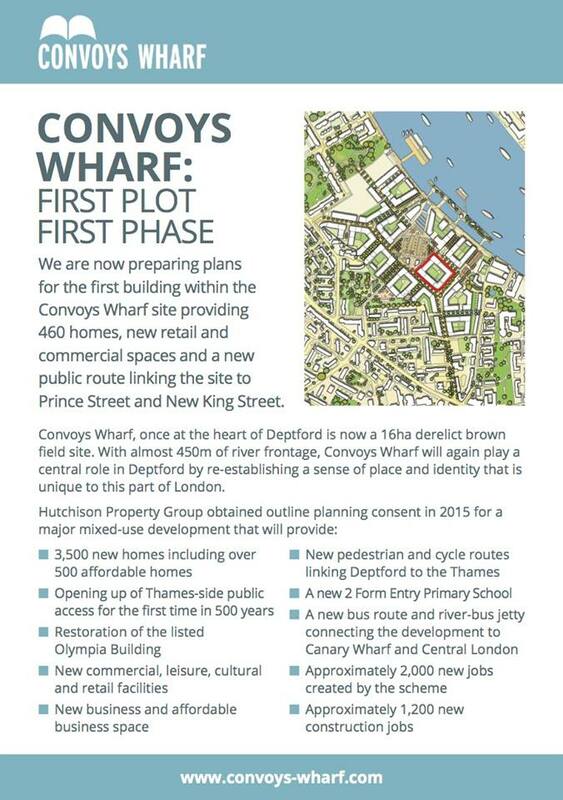 Allowing developments that make plots unviable is surely not a good idea? In my opinion the council should be making efforts to improve facilities that support healthy lifestyles - growing your own food promotes healthy eating, not to mention the physical exercise and mental health improvements that come from maintaining an allotment. They offer social contact for plot holders and strengthen community links, not to mention creating natural habitats for birds, insects, bees and so on. Late notice of a rather poorly-publicised consultation event being hosted by Lewisham Council about the proposed construction of a temporary housing site on a corner site of Edward Street/Arklow Road where the disused ball court currently stands. 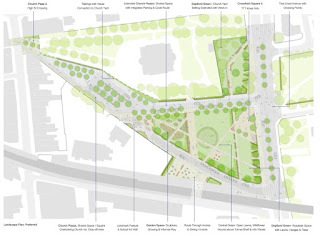 I wrote about this proposal a couple of months back when it was first announced; tomorrow there will be a public consultation at Charlottenburg Park on Amersham Grove, which is just across the road from the site. The council is inviting feedback on the proposal and asking for ideas of how the proposed community space might be used. If you've not yet had a wander down to see this bit of new public realm, might be a good opportunity to do so. I didn't make it to the 'consultation' event for this Creekside development which took was held last month, but I've been taking a look at the information that the developer put on show and which is now available on the website. It's still not a planning application as such, but I guess we can expect one to be made pretty soon, given that this is the second public event and that's probably more than enough to tick the required boxes. 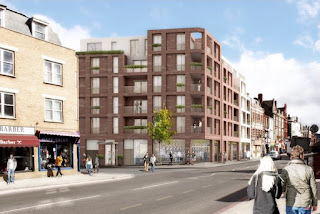 I wrote about this development at the time of the last consultation, when the building heights were proposed as being seven storeys to 16 storeys high. 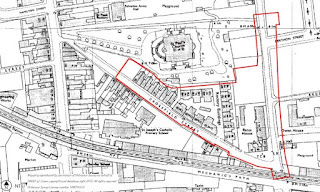 Scroll on a year and the revised plans (below) show that the heights proposed range from 'one to two storeys' to 'nine to seventeen storeys' although the information provided on the exhibition boards seems rather deliberately vague, and for some reason (no doubt to justify the height of the main tower) includes the blocks on Kent Wharf next door. It's not easy to distinguish the difference in heights from the diagram above - if they'd chosen different colours rather than different hues of blue to differentiate the buildings, it would have been a lot easier, and of course the cynic in me thinks that was probably the reason behind the choice. 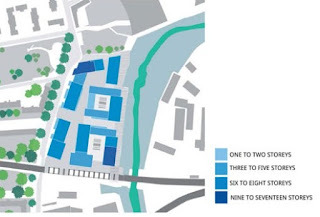 And having one category ranging across potentially eight storeys, in particular since it only applies to two buildings, one of which is not even part of the development, muddies the water even more. Who are the 'communications' experts who put together these public consultation events? Since they are being paid by the developers, I shouldn't really be surprised that they seem more adept at creating smokescreens than at communicating basic facts to the general public. What's all this about, for example? Why would the public care about how you intend to label the different parts of your development? What is a 'Victorian' wharf building in any case? What characteristics does it have and is it anything more than a vague aspiration at this point? Looking at the first image in the post there's nothing distinctly different about these buildings that I can see, frankly this diagram is irrelevant. But I digress. 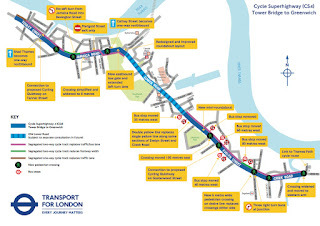 Here's a few renderings from the 'information' boards for anyone else who missed it. View from the Greenwich side of the creek, with the railway viaduct shown on the left hand side. Original plans were to open up routes through the railway viaduct, and although that's not explicit in the new details, the renderings suggest that it's still part of the masterplan. Full east elevation - the white buildings on the right are Kent Wharf; an idea of the tower height on the left can be gained from the presence of the railway viaduct on the far left. Above is a view from within the development itself, looking south towards the railway viaduct (on a street parallel to Creekside). Oh look, green spaces! But not for the general public, only for the residents. These will be at 'podium' level, between the housing blocks. The renderings include an (almost) separate building for Cockpit Arts, whose current home on Creekside will be demolished to accommodate the development. 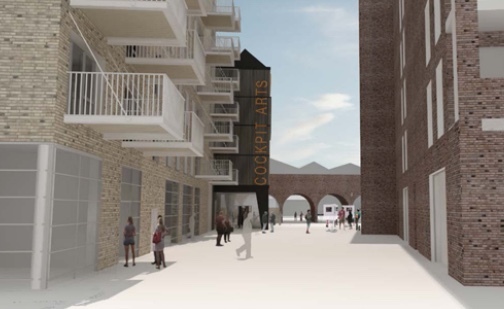 I assume that they negotiating hard for favourable terms on the final scheme - having an independent building which ensures Cockpit Arts can continue its existing work in Deptford is essential. Presumably they are also in discussions to ensure that any impact on their designer-makers during the rebuild and relocation is minimised. 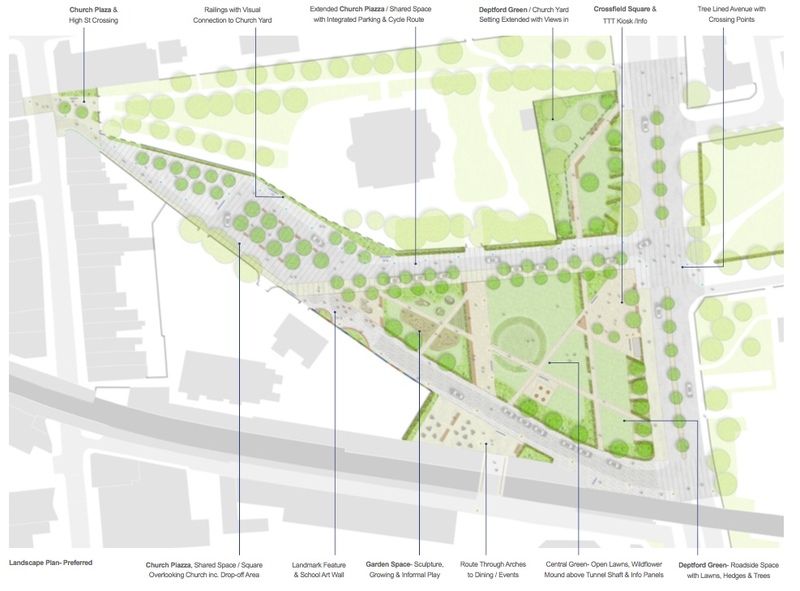 Of course it's all aspirational at this stage, but I was particularly taken by the level of aspiration needed to envisage the 'wonderful sunny aspect' that this new public realm is expected to have. The developers say that they are going to create a new public space 'in the proximity of the historic Normandy Dock inlet' which will have a cafe and outdoor seating. 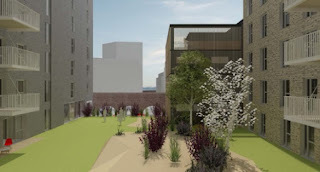 Looks quite attractive on the rendering, but in reality it is an east-facing strip of land which will only get direct sunshine for a short time in the morning, being overshadowed by the railway viaduct on the south side. 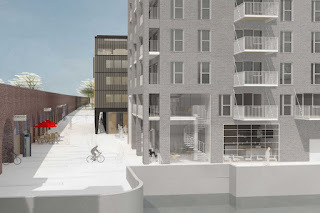 Even its morning light could be threatened if/when Greenwich agrees to develop the land on the other side of the creek, no doubt with more of the high-density type of blocks that are already built on sections of the waterfront that have already been developed. And at the bottom of a seventeen-storey block it's likely to be pretty breezy.